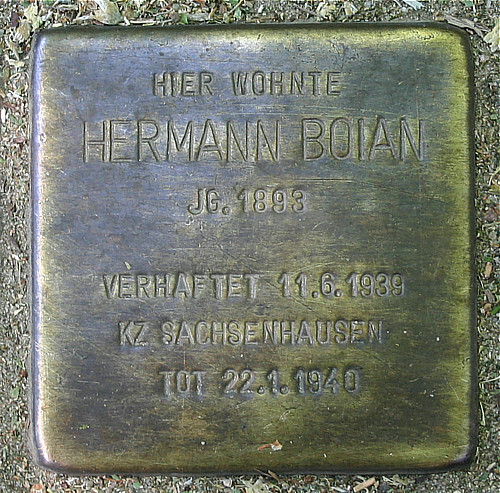 Based on his cruel experiences in the First World War and through contact to the International Bible Students, Hermann Boian (1893 – 1940) became a convinced pacifist. After the National Socialists took over power, he openly, in speech and writing, resisted the regime and the war. For that he was arrested in 1939, and shortly after his release he was abducted again by the Gestapo and sent to Sachsenhausen Concentration Camp. On 22 January 1940 he died there of the agonies of concentration-camp treatment.